According to People Magazine, Emily Ratajkowski is the face of DKNY’s spring 2017 lingerie, hosiery and sleepwear line. In celebration of her new gig, the model can be seen in the picture above and video below walking down the streets of New York in nothing but her bra and underwear. 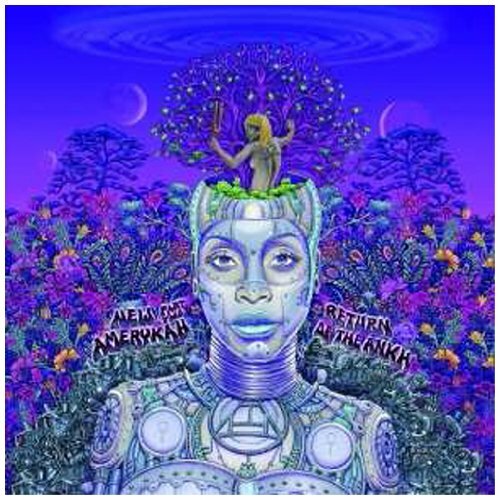 In 2010, R&B/Neo-Soul songstress Erykah Badu released her fifth studio album, New Amerykah Part Two: Return of the Ankh. Prior to the release date, Badu released the video for one of my favorite songs, Window Seat. Needless to say, the video was controversial because everyone didn’t have an eye to see the art of it. Some people couldn’t see past the fact that she stripped down naked in public. Did that stop us from loving Badu? No way! Her true fans loved her even more, which caused Window Seat to become an immediate hit – going viral the first week. Erykah Badu stripped naked and walked downtown…I love that ! Wow I will always support the expression of art but did anyone really understand y erykah badu stripped naked where jfk was shot?? I was surprised when People Magazine failed to note that Badu strutted down the streets of Dallas, Texas in her intimates prior to this campaign… perhaps inspiring DKNY to do the same with Ratajkowski. Next Post Jussie Smollett Just Dropped a NEW Video – F.U.W.